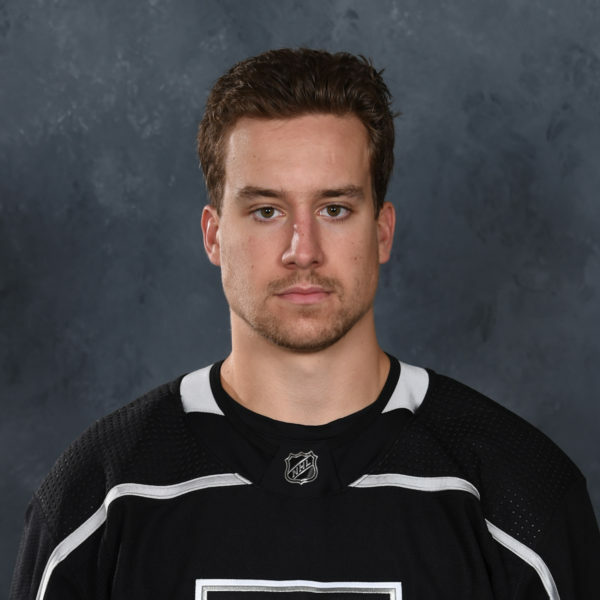 –Ryan Craig – The Monsters’ 34-year-old captain finished with a goal and an assist, factoring in on two of the three goals in his team’s dominating second period. First, he got his shot through on the power play that led to Anderson’s rebound goal. And for his own goal he faded away into a space where no one thought to cover him to score his third of the playoffs. “It’s nice to help out the team,” he told reporters afterwards. 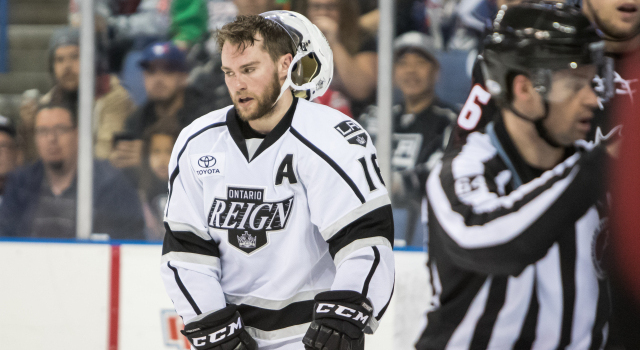 –Sean Backman – The Reign’s leading scorer from the regular season (21-34=55) arrived in game 10 of the postseason. 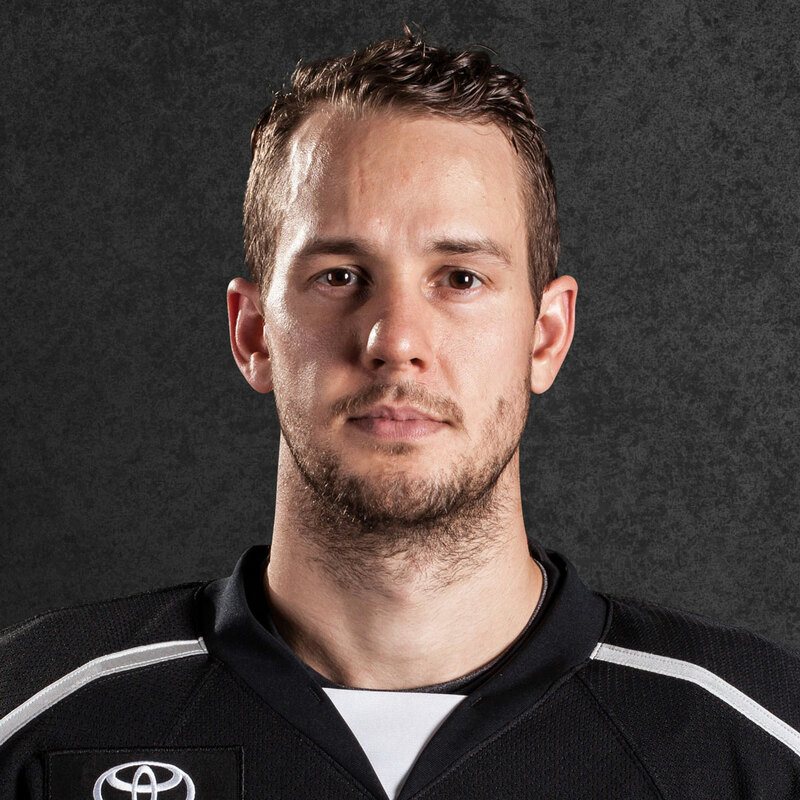 Backman’s goal was a rifling one-timer that beat Forsberg’s glove and his feed set up Lowry’s. 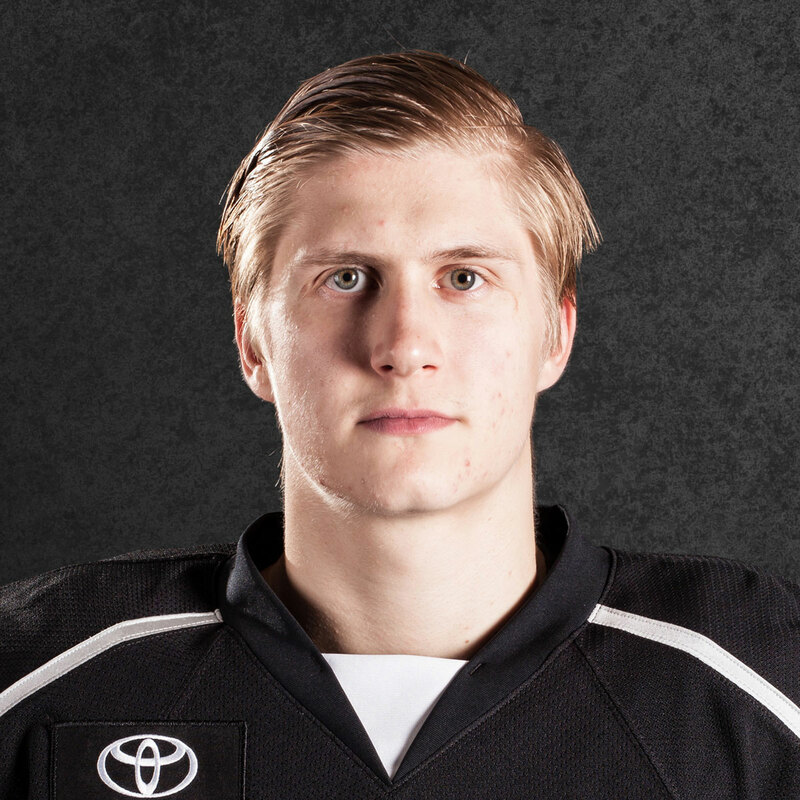 “Yup,” he responded when asked if it felt good to finally find the back of the net. “That’s an understatement.” It was his first goal since March 25 of the regular season. 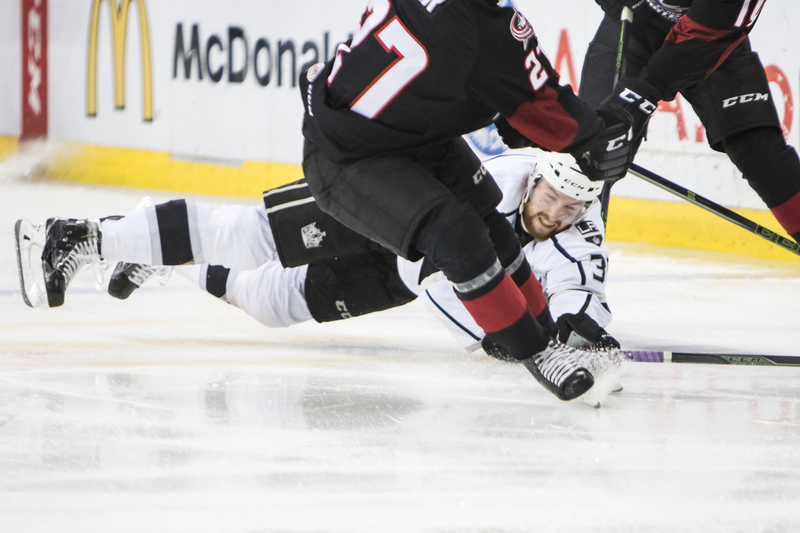 Lowry’s goal was still being announced when Broadhurst buried the eventual game-winner. In a moment’s time where the Reign had spun the game back around in their favor, they quickly lost it. Jonny Brodzinski, Brett Sutter and Kevin Raine remain out for Ontario due to injury. 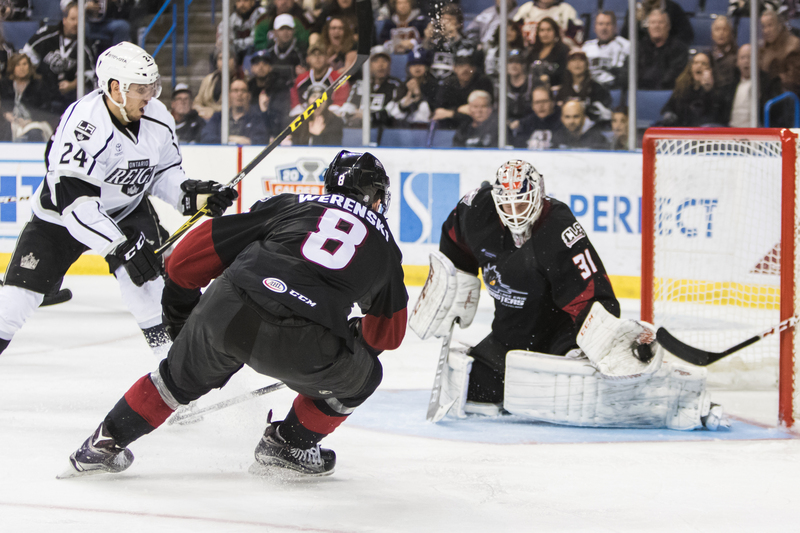 –4 – Goals given up by the Reign, the most they’ve allowed this postseason. The ice was uncovered and freshened up literally just in time for warmups as the arena was flipped from hosting a graduation earlier in the day. 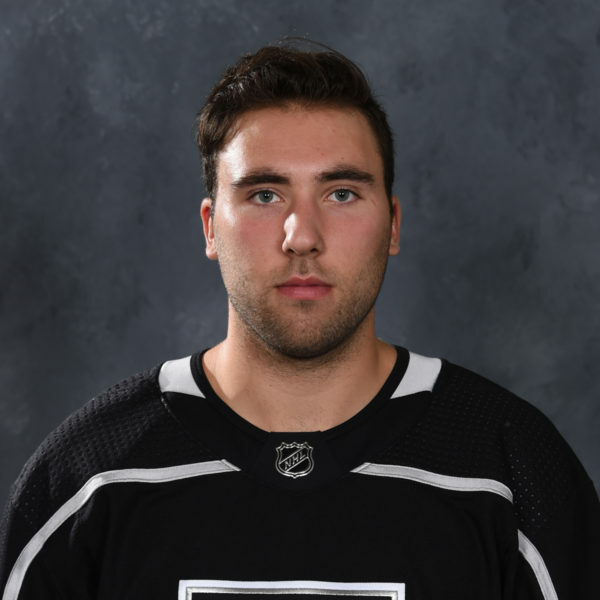 Backman noted that the ice felt “slow.” … Kings goalie Jonathan Quick was in attendance, as noted by Frozen Royalty, presumably so to see his brother-in-law Backman play. 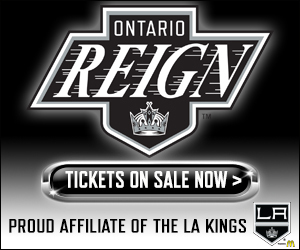 Game 2 is right away on Sunday night at 7 p.m. in Ontario. 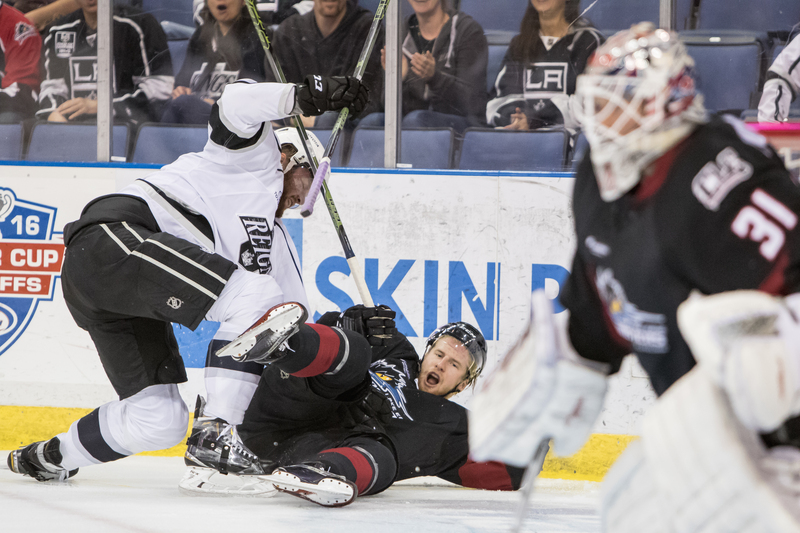 The Reign will then travel the next morning to Cleveland as Game 3 is set for Tuesday at 4 p.m. PT.